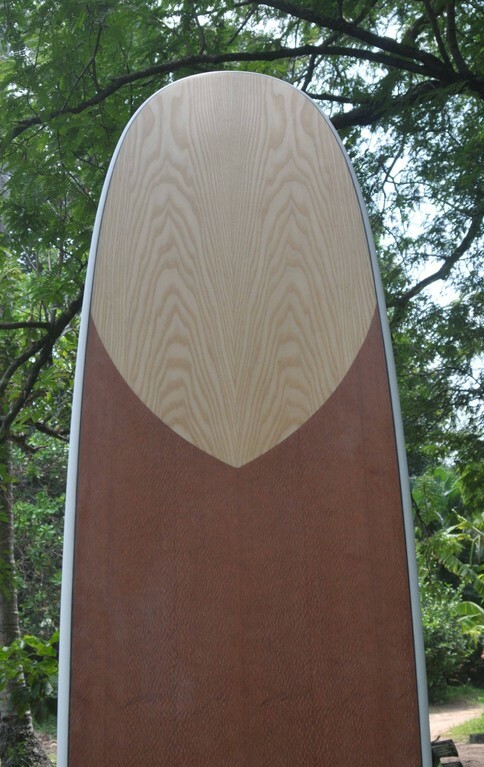 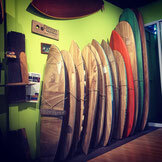 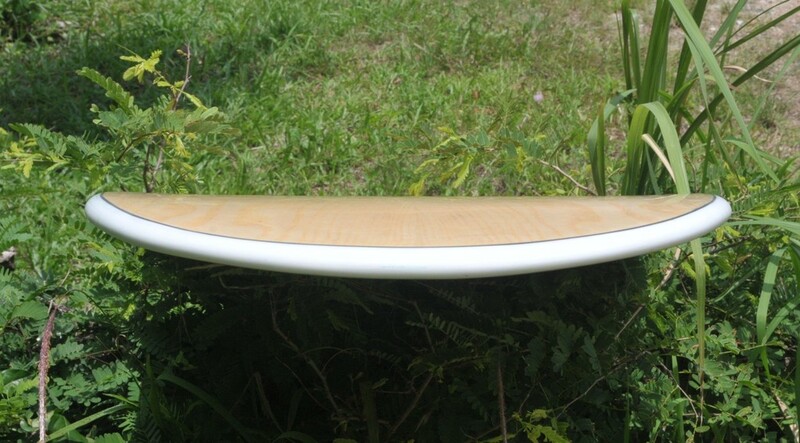 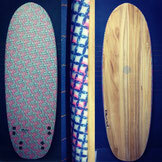 ﻿﻿This 9'3" is the second "real" longboard from Elleciel. 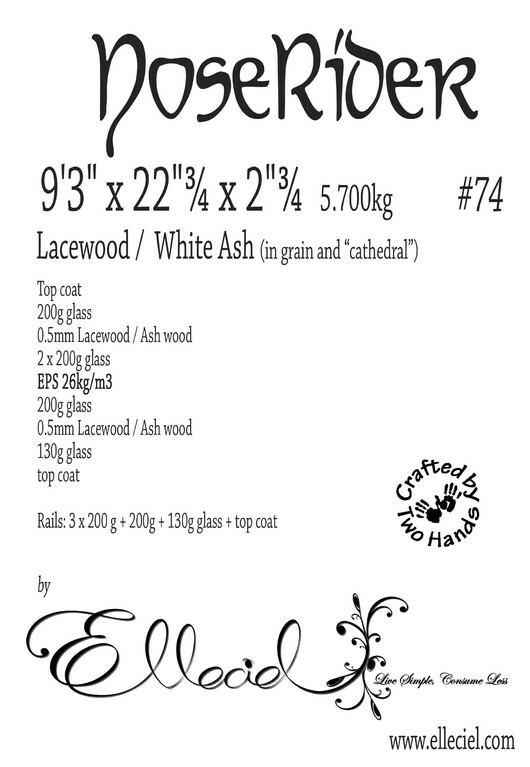 A wood beauty with a combination of white ash (in long and "cathedral" grain) and lace wood (or silk eye). 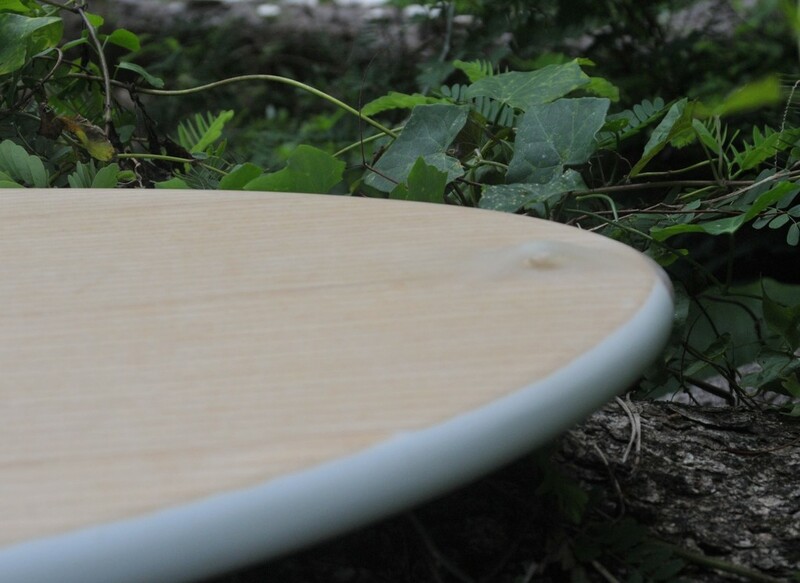 The elegant round pin tail comes from the "drop". 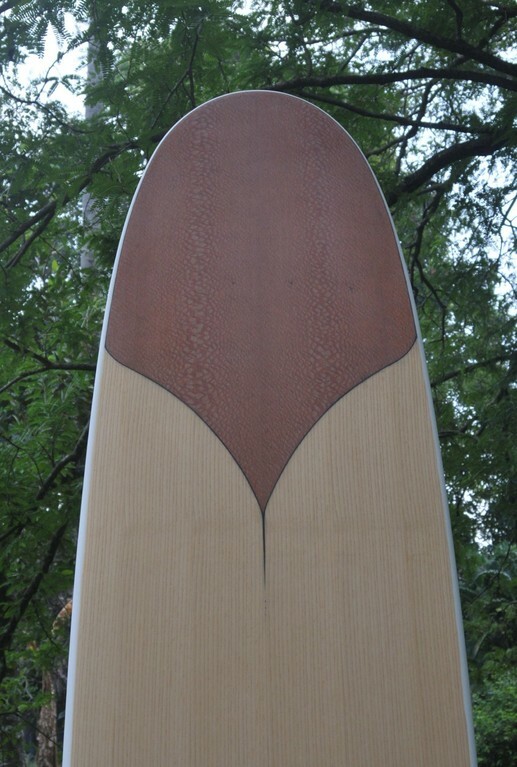 SIngle concave for nose riding to a very subtile concave to V double concave at the tail where a 12" FinBox is set alone.